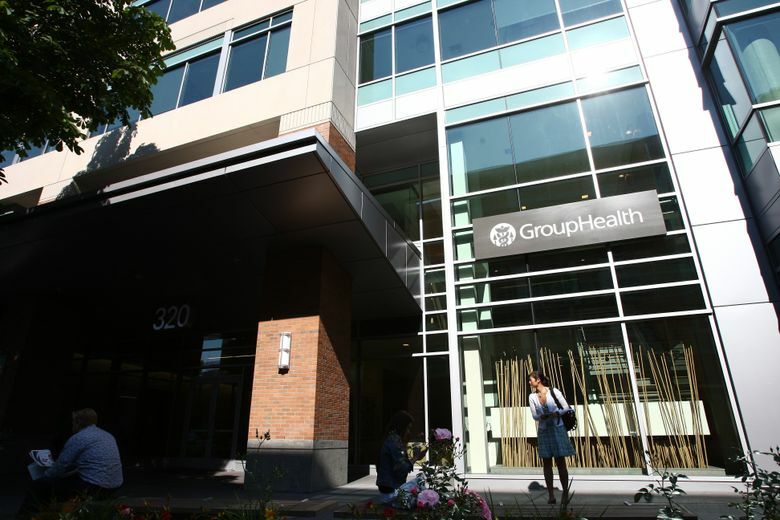 Seattle’s Group Health Cooperative will be acquired by Kaiser Permanente, a California-based health-care giant. No immediate changes in local care or coverage are planned, officials said. Seattle’s Group Health Cooperative will be acquired by California’s Kaiser Permanente, forming a new region for the giant health-insurance and care provider, which already serves more than 10 million members in eight states and Washington, D.C., officials announced Friday. It’s not yet clear what the new name will be, but the move marks a significant milestone in the nearly 70-year history of Group Health, which was formed in Seattle in 1947 with a mission of providing integrated health care and health coverage to Northwest consumers. The deal between the two nonprofits joins Group Health’s system with a like-minded, but much larger, partner to position both of them for growth in a changing health-care landscape, said Scott Armstrong, the firm’s president and chief executive. “This is an opportunity to do more, better,” Armstrong said. No immediate shifts are planned in coverage and care for current members, officials said. The deal is subject to approval by Group Health’s voting membership and by regulators, including the Washington state insurance commissioner and federal authorities. The two organizations have finalized an agreement for the Kaiser Foundation Health Plan to acquire Group Health, part of a wave of hospital-system and health-insurance mergers nationwide. In exchange for Group Health, with 600,000 members and annual revenue of $3.5 billion, Kaiser Permanente is contributing $1.8 billion to set up a new Group Health Community Foundation, Armstrong said. In addition, Kaiser plans to invest an estimated $1 billion during the next decade in new facilities, staff, technology and research in Washington state, said Bernard J. Tyson, chairman and chief executive of the Kaiser Foundation Health Plan and Hospitals. It could take up to a year to finalize the move, which has been under discussion for about six months, said Armstrong and Susan Byington, chair of Group Health Cooperative’s board of trustees. Armstrong, who earns more than $2 million a year, said he expects to stay on, and is “very confident” the acquisition will be approved. Group Health, which faced cuts of $250 million in 2012, has regained a robust financial position and is moving forward with the acquisition out of a position of strength, not weakness, Armstrong said. The acquisition is supported by Tarnoff, who leads the physicians group, which includes about 1,400 doctors and other health-care providers in the Northwest. The group contracts with Group Health Cooperative to offer care. Based in Oakland, Calif., Kaiser Permanente has nearly $60 billion in annual revenue and about 10.3 million members in seven regions, including Colorado, Georgia, Hawaii, the mid-Atlantic states, Northern California, Southern California and the Northwest, including Oregon and parts of southwest Washington. The Group Health acquisition will form Kaiser’s eighth region and boost enrollment to nearly 11 million. Joining an organization that has national reach, but allows local control, will help make health care more accessible and affordable for consumers, Tarnoff said. “For those of you who have counted on Group Health to provide you with amazing physicians and clinical teams, and the coverage for your family needs, you will continue to receive the best care and coverage available,” he said. Group Health officials planned to notify the organization’s 7,000 employees about the plans Friday morning.